Soltis 86 simultaneously offer efficient thermal protection and more natural light, while maintaining an exceptional level of transparency and outwards visibility. Soltis 86 is an ideal solar protection solution for blinds, awnings or façades providing privacy and comfort without obstructing the view. Manufactured using Serge Ferrari patented Précontraint® technology the textile exhibits superior strength and stability. 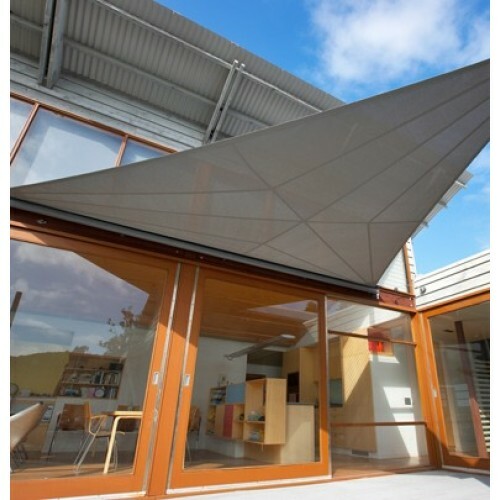 Soltis 86 maintains its shape and performance in demanding shade applications showing exceptional durability under a variety of intense wind and weather conditions. The smooth even surface and protective top coating resist dirt, pollution and fading, simplifying maintenance. Innovative metallic appearances in aluminium, gold and copper provide new ways to harmonize solar-protection textiles with buildings, while keeping up with architectural trends. Precontraint® Serge Ferrari technology allows Soltis 86 to remain lightweight and thin with exceptional dimensional stability and long term strength.